Setting up a new site or have planned out customization of your wordpress blog. Now that you taken care of your title and meta tags and other basic SEO stuff. Make sure you do get your robots tag in place too. Robot.txt plays a crucial role in Search Engine optimization. There are two ways in which one can use robot.txt that is control it directly though individual pages and the second one is folders. 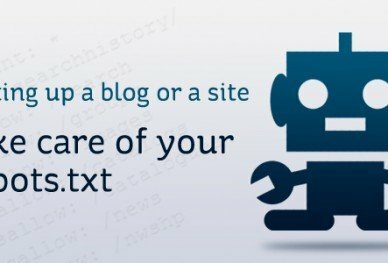 We can write the robots tag in the Meta tag of the page or upload a robots.txt to the root folder of the site.